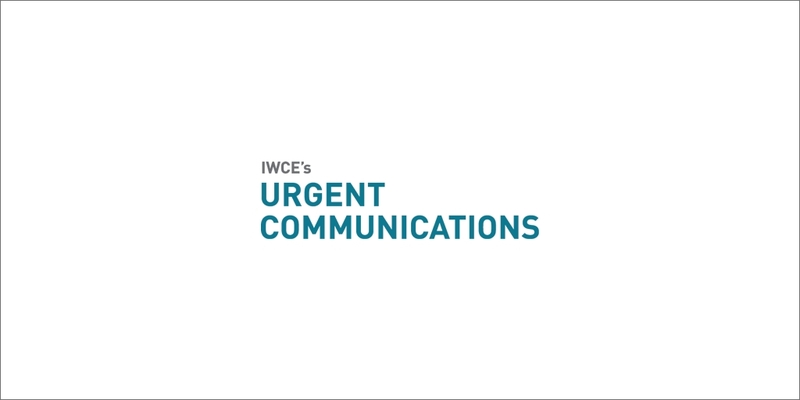 Here’s a look at the most popular stories on IWCE’s Urgent Communications from the last week"
1. “Motorola Solutions acquires Trident Micro Systems” – Motorola Solutions confirmed that it has acquired a company that develops controllers for analog and digital LMR systems. Motorola Solutions expects the acquisition to help “accelerate our Connect Plus portfolio and solution offering,” a spokeswoman said. 3. “Newscan: Executive Director position for FirstNet posted; application due on Jan. 15” – Eight months after Bill D’Agostino resigned as FirstNet’s general manager and Deputy General Manager T.J. Kennedy stepped in as the interim leader, the job advertisement to find D’Agonstino’s official replacement has been posted. 4. “Find Me 911 coalition makes its case in opposition to cellular carriers’ indoor 911 location proposal” – The nation’s largest wireless carriers have proposed a solution for indoor-location accuracy, but Find Me 911 is urging the FCC not to embrace the carriers’ proposal over the FCC’s previously proposed rules for location accuracy. Those rules are needed, as is further study of indoor location technologies that could be leveraged to increase the indoor-location accuracy of wireless 911 calls placed from inside of buildings. 5. “Sound off: Late TRNI Chairman Dave Robison discusses challenges associated with dealer succession, consolidation” – Dave Robison did this interview with IWCE’s Urgent Communications before unexpectedly passing away earlier this month. The wisdom of Robison’s comments is a reminder of the loss to the industry.